Imagine - your four children unexpectedly lose their father to sudden illness and then just 2 months later lose their loving mother as well to a heart attack. These amazing kids need our support as they not only heal from the tragic and sudden loss of their parents but also face the long journey ahead during their most formidable years. Vi and Peter were incredibly generous and giving people who ALWAYS loved their neighbor and would do anything on a moment's notice to help out. They now need our help - in providing for these wonderful kids they tragically left behind - children now faced with the long road ahead. Donations will help provide for their immediate day to day needs (food, housing, clothing for winter, etc) as well as schooling. We truly appreciate anything you can do to help these kids in their time of need. It’s been a little over two months since the Nguyen family lost first their father and then more recently their mother. There's been an outpouring of support from family and friends however, nothing will replace their parents. I just wanted to update everyone on this long journey. · Joseph was given an incomplete for this semester of college, allowing him to complete his studies next semester. He is also able to take online classes for his last semester allowing him to graduate on time, in May of 2019. This is something his parents wanted very much. · The siblings, Jesse, Jessica and Jonathan are all back to school and coping as well as can be expected. They miss their parents very much. · We are working through all the many difficulties with banking, schools and government; a heavy load for a twenty-two year old. 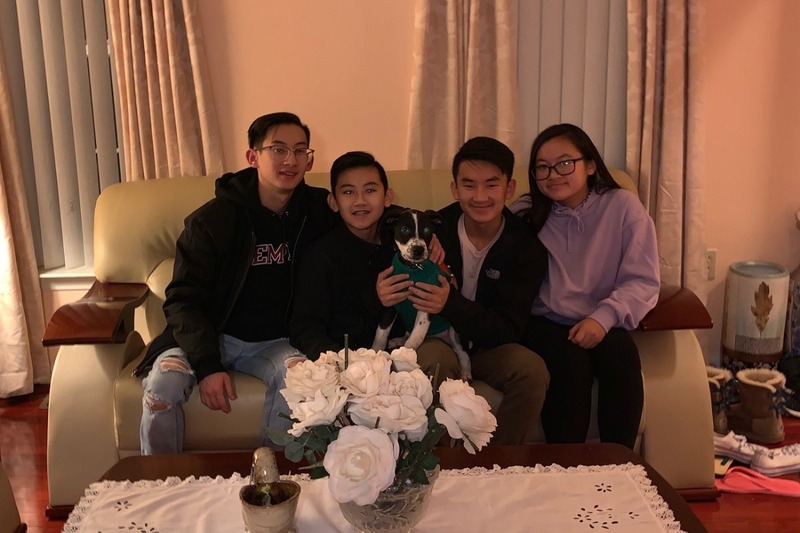 · The kids have recently adopted a puppy, a great distraction for them. I'v attached a picture, it’s nice to see them smile. · One huge blessing I would like to share, Wayne Streibich, my attorney and the firm of Blank Rome, have offered their services pro-bono to help handle the estate. Not having a will complicates things beyond anything that I have ever been involved with, but “God is Good”. This is going to be a very long road for this young family and the support that has been offered is over- whelming. We appreciate all your support and prayers, as do the kids. Thank you to everyone for opening up your hearts in such a big way to help these kids as they start their journey forward.